An alternative to the sit down lunch or dinner Paradiso offers innovative concepts for corporate team-building, entertaining clients, or simply enjoying time with family and friends. We have designed these interactive cooking classes so that you can relax, have fun and actually be a guest at your own party! We invite you to gather together your clients, co-workers, friends or family for the most fun you’ll ever have in the kitchen. With the assistance of the talented chefs at Paradiso, each team prepares a portion of the menu –with a little healthy competition thrown in. When cooking is complete, it’s your turn to relax. 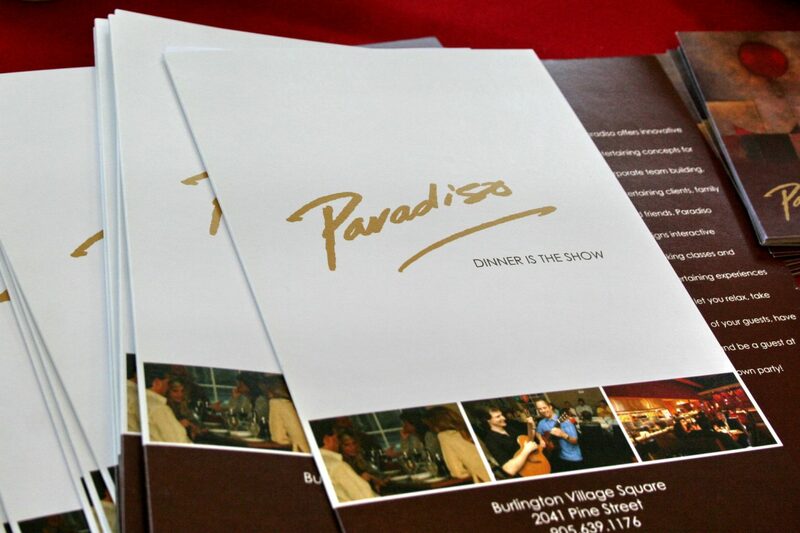 Have a seat with your guests and let the Paradiso team take over to serve up the gourmet meal you’ve created.